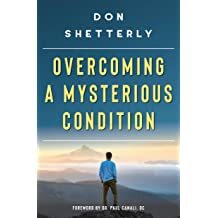 In 1991, Don Shetterly suffered from a mysterious condition called conversion disorder, also known as a somatoform disorder. He experienced paralysis, pseudo seizures, anxiety, depression, and suicide attempts as a result of being tortured, abused, and molested as a child. Many of the concepts that Don uses to help others unlock their full potential are a result of overcoming the experiences he has lived through in his own life. 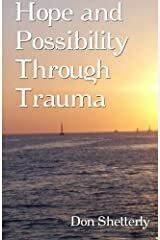 Through his continued journey of healing, his life has continued to unfold in ways he would have never imagined many years ago. Don graduated in 2003 from Educating Hands School Of Massage and is currently a licensed massage therapist. He trained under Dr. Paul Canali, a pioneer in trauma healing, beginning in 2004. 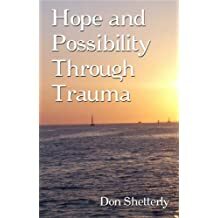 Don is the author of Hope and Possibility Through Trauma, published in 2010, and Overcoming A Mysterious Condition, published in 2019. He is a prolific writer and blogger. 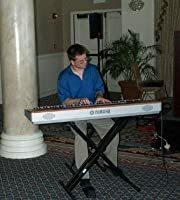 He has also released several relaxing piano music CD's since 2002. In 2010, Don was part of the 200 Male Survivors episode on Oprah and in 2012, he was a guest on the Dr. Drew Show. 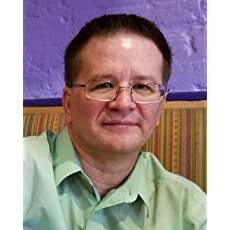 Don enjoys conducting workshops on the topics of relaxation and the mind body connection. Residing in Central Florida, Don enjoys being outside in nature, especially the ocean, and taking photographs. He is extremely creative and loves to travel in his spare time. I remember being stuck in healing. It is easier to see it now than when I was in the middle of it. I think we all get stuck in healing at times. It is part of the logical progression through this journey where there are no step-by-step instructions. We sort of have to find our way in the dark. In one case, though, I remember wanting to get past a situation I was facing. In this circumstance, a rash was showing up as a result. It was a body memory of something that was horrible. 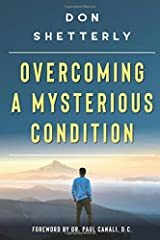 Below is an excerpt from my new book, Overcoming A Mysterious Condition. In this chapter, I discuss avoidance in healing. There are many ways that we are avoiding healing. We can chase pretty rainbows all day long, but if it is keeping us from going deep inside, why are we doing it? That’s a question we need to ask ourselves constantly. We need to be brutally honest with ourselves. I’m wondering, what food ingredients do you eat? Are you a healthy person? Do you power your body up with great stuff or are you one that eats “chemicals” rather than nutritious ingredients? So, I have to admit that I’m always not as good as I should be in the food ingredients I eat. Yes, I try, and sometimes I do well, and other times (if I’m honest), I don’t do as well with what I shove in my body. Today, I finally felt strong enough to write about my somatic response to a trigger. I don’t usually share too much of things like this, and I’ve held off sharing much on this situation. Ever since our cat was diagnosed with the condition he has, it has hit me like a ton of bricks. I know It has hit Jeff hard too. As long as I live, I’ll never forget Grandpa’s magic pill. It was one of those placebo stories that you see in the movies, but not in usually in real life. I was around 7 years old at the time. I’m not exactly sure when it happened, but I remember my grandparents were on their way to our house one weekend. We all have unconscious behaviors, whether we recognize them or not. We might be oblivious to them, but it doesn’t mean they don’t exist. Far too often these days, it seems as if we are not in touch with the unconscious mind. We are running on autopilot, reacting at will to the prevailing winds of the day. Unconscious behaviors become the norm, not the exception. We are far too asleep as a human civilization to truly see what is happening. Don ShetterlyWhat are your favorite Christmas songs? Written By Don ShetterlyThese days it feels like everyone hates one another. I'm not sure there is anything but hatred these days. So much is shared online of how we should love one another. We say it to those who agree with us, but the premise remains the same. Written By Don ShetterlyLip service compassion seems to be the norm these days. It is pretty awful how humans are treating one another. Everyone claims it is the other people that do this, but they fail to see their role. Written By Don ShetterlyI'm more and more amazed at the behaviors I see every day when it comes to people's health. We as a country claim we eat healthy, live healthy and do all we can to stay healthy. Written By Don ShetterlyRecently, I have had a couple of experiences that left me dazed and scratching my head. In both cases, I said one thing and someone else took it completely out of context. They inserted words or their experiences into it and then began the assault. by Don ShetterlyLately, it feels like everyone is at odds with one another. Everyone wants to preach love and acceptance and positivity. Everyone wants the feel-good stuff, but then they turn around and do just the opposite. by Don ShetterlyFor many, experiences through life color the lenses in which they see everything around them. No matter what they attempt to lead others to believe, these experiences alter so much of how we view the world. We may not realize that we do this, but others can often see it in us. By Don ShetterlyThese days, it seems that too much social interaction revolves around everyone doing a pick a side. It really is a sad testament to humanity when we can't even discuss an issue of the day without people becoming opposing forces. It doesn't matter what the issue is. By Don ShetterlyOne of the things that I think depression and trauma do is alter the reality of how we perceive life. Seeing the bad and the horror becomes commonplace. Only seeing the struggle is what many do every day. By Don ShetterlyI'm perplexed by people. So often, I hear people say they "care" or they "love" or they are "concerned" about you or someone else. It all sounds heartfelt. It feels like you could take those statements to the bank. Written by Don ShetterlySo often when physical issues show up in the body, we forget to take into account where it all begins. What shows up in the body is a window into what takes place in the mind. In my life, I learned that when something physical shows up in my body, the first question I ask is "what was going on right before it showed up?" Often, the answer to this question is the clue to how we can heal it in our body. 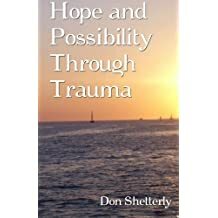 Written By Don ShetterlySharing our story helps heal us and empower others. While our knees may shake and our voice may tremble, the act of vulnerability we offer to others does so much for us. In our moment of being vulnerable, others will feel empowered because they identify with us, knowing that they are not alone. Written by Don ShetterlyOne of the most difficult lessons I have learned in life is this one. When we let go, that's when we discover what matters. It seems like we should cling and hold on to what we know, but as I have found, that's when we need to let go. For in doing so, this is when we discover what we cannot see. It allows us to make a choice of a new and different awareness. Written by Don ShetterlySometimes this is very difficult when you are facing challenging times. However, hope tells you to keep going when everything else says to give up. Listen to hope and know that you will make it through these moments. You just need to keep putting one foot in front of the other.